Rung in thanksgiving for the life of Dennis Hewitt. First peal in this method on the bells. Last updated Wednesday, 18 February 2015 at 16:09:01. First submitted Tuesday, 25 March 2014 at 13:47:45 by Stephen Jakeman. 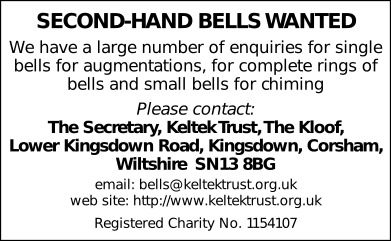 Sent for publication in The Ringing World on Tuesday, 25 March 2014 at 13:48:17, and printed in issue 5381, page 616.